Welcome to Emergency Dentists USA where you are able to find just the right emergency dentist to meet your dental emergency needs! We at Emergency Dentists USA make it easy to find a walk-in dental clinic, a 24-hour dental service, or even an after-hour dentist in one area. The information we provide makes it simple for you to pick an Amarillo emergency dentist and move on with your stay. A call to the Emergency Dentists USA hotline connects you to an operator who can help you pick that dentist quickly with no hassles of a long search. Emergency Dentists USA has a great website full of really useful information if you’re ever facing a dental emergency. Do not let finding a 24-hour emergency dentist in Amarillo become a hassle. There are many options when it comes to servicing an emergency dental need in this great city. There are walk-in dental clinics that allow you to come in without an appointment. Advana Dental and Dentures is a 24/7 emergency dental clinic that welcomes walk-in patients during dental emergencies. Eric Crawford Family Dentistry has been a walk in dentist for the last 15 years. After hours dentists have dental appointments later in the day than standard dentists. Familia Dental has office hours Monday through Friday 9 am until 6 pm and Saturdays from 9 am until 4 pm. Emergency Dentists USA is your source for excellent emergency dentists in the Amarillo, Texas area. Emergency Dentists USA provides you with a 24-hour emergency helpline to link you to an operator that will help you find just the right Amarillo emergency dentist during your dental emergency. Our listings are accurate and make it simple for you to get the dental treatment you require when you require it. Description: Call to be connected with the perfect dentist for you. 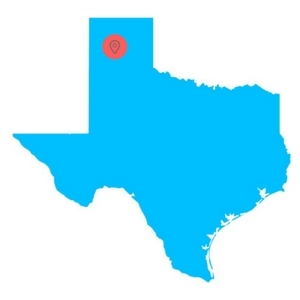 Amarillo is a large city and we have the connections to find a dentist to fit your needs and can get you an appointment immediately. We will work hard to find the top dentist for you in Amarillo, or anywhere across the United States for that matter! Description: This clinic welcomes walk in patients and understands well how to deal with dental emergencies. Just call the number provided and get help with ending your dental pain. Considered one of the top quality dental and denture care facilities in Amarillo, Tx, you need not worry about the availability of a dentist or the cost it takes to get the treatment needed because this outfit strives to be reasonable, accommodating, and fair. Description: Familia Dental is a compassionate quality dentist office that established their practice in 2008. Their goal is to make certain the patient is receiving quality care in a healthy, worry-free manner. They want to make your visit as stress-free as possible. The dentists there participate in a continuing education each year to better serve you. Description: They have been providing high-quality treatment with a dedicated staff for a number of years and can address any number of general dentistry needs. Integrating the latest in technology and technical skill to make their patients comfortable with the care they receive, feel free to call to schedule a consultation. Description: The Dental Group Of Amarillo is a great dentist for emergencies. Their regular office hours range from 8 a.m. to 5 p.m., Monday through Friday. However, they encourage you to call them immediately if you have a severe emergency so you can get it taken care of as soon as possible. With three different doctors, you can rest easy knowing that you are in capable hands. To make your Amarillo emergency dental appointment move smoothly, have all of your paperwork, health records, and insurance information ready for the Amarillo dentist. Try to arrive early to your emergency dental appointment. Doing this gives you the time to fill out any important paperwork you will be required to do. While making your appointment, ask the receptionist about accepted forms of payment. Most accept credit, cash, and insurance but it is always best to find out. Talk with the emergency dentist receptionist about your dental insurance. Find out if the dentist is in network with your insurance if this is required. Bring with you a list of all of your current medications and supplements. Let the dentist know if you have any allergies that could affect your treatment. If you have an intense fear of dental treatments, please let the office know. There are many common 24-hour dental emergencies that can make your visit to Amarillo, Texas a painful experience. Emergency dentists are there to treat any type of dental emergency that you might have, including things such as a lost crown, broken tooth, or even a painful abscess. A soft tissue injury, lost crown, or even a knocked out tooth are also commonly treated by your Amarillo emergency dental clinics in a fast and professional manner. A loose or lost crown can happen at any moment, whether from being poorly sealed in the first place, to decay, to a hard bite in just the wrong way. 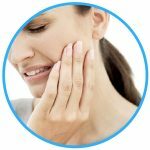 When this happens, your affected tooth can become incredibly sensitive. If the crown is off, apply a bit of clove oil to the tooth to alleviate pain. Clean the crown and try to affix it back onto the tooth using dental cement found at most local pharmacies. If you are unable to locate the lost crown, apply dental cement to the top of the tooth to ease discomfort. Do not use super glue or any other type of glue to affix the crown. Immediately call your Amarillo emergency dentist to seek treatment. An emergency toothache can leave you feeling absolutely miserable. The first step you should take is to thoroughly rinse your mouth with warm water to remove food particles. Next, use a piece of dental floss to remove any food that is lodged between your teeth. You can apply a cold compress to the outside of your mouth to help with pain and keep swelling down. Do not apply aspirin or other painkillers to the gums as this can burn the gum tissue. Call your Amarillo emergency dentist as soon as possible or seek treatment at a hospital emergency room if you can not secure an appointment. Tooth trauma that is caused by an accident may first require you to make a trip to a hospital emergency room. This is especially important should the accident be caused by a car accident, slip and fall, or a sports injury as there may be broken bones or other damage caused by the accident that needs to be treated first. While a dental professional can treat any type of tooth trauma, they are not able to perform x-rays to other affected areas. Once they treat you at the emergency room, they will refer you to an Amarillo, Texas emergency dentist to fix your tooth. An emergency tooth extraction is a frightening experience. A tooth may need to be removed due to disease, trauma, or even decay if left too long. The Amarillo emergency dentist begins by x-raying the area to best determine their next steps in the process. They then apply an anesthetic to numb the area to reduce the discomfort of the procedure. The numbness lasts a few hours, and during this time, do not chew as you can hurt your mouth with a bite. Once the tooth is removed, a piece of gauze is applied to the extraction site to slow bleeding. The pack should be left in place for 30 minutes to help a blood clot form. A blood clot aids in healing and you should be careful to not disturb it. For the next 24 hours, do not drink through a straw, use alcohol, smoke, or engage in vigorous activities. Brush and floss your teeth the next day, being careful to leave the affected area untouched. Rinse your mouth with warm salt water after meals and take any prescribed medication as directed. If there is pain or swelling, apply a cold compress to the outside of the affected area. Call the Amarillo emergency dentist should you have fever, vomiting, ongoing bleeding, or have pain that gets worse over time. If you are unable to contact your Amarillo emergency dentist while you have a painful dental emergency, it is important that you go directly to the hospital emergency room to seek treatment. If you do not know the nearest hospital, a call to 911 in in order. 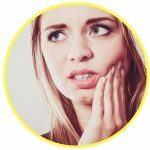 This is extremely important if the dental emergency is caused by an accident such as a car accident or a sports injury as these types of injuries can cause damage to other parts of your body. The emergency room physician is able to provide you with treatment for your injuries and provide you with the necessary medications to help you. They are not able to treat your teeth though. They will refer you to an Amarillo emergency dentist once they have seen to your other needs. Always check first with your emergency dentist if you have a dental emergency such as a lost crown, lost filling, or even broken braces. Always check with the local dental society to determine that the dentist that you choose to treat you is certified and licensed in Amarillo. The American Dental Association website is used to check dental licensing information. You can find certification and licensing on the Texas Dental Association website. The websites offer information regarding Amarillo emergency dental clinics and is designed to help you make an informed decision even while you are suffering a dental emergency. If you should you have a dental emergency and not be able to reach an Amarillo emergency dentist, You should immediately call 911 or head to the nearest hospital emergency room to seek medical treatment. The Emergency Dentists USA website is designed to be used for informational purposes only and should never be used to replace the advice of a medical professional.